Inside PLCs at Work® takes readers on a journey to Sheridan County School District 2, a district in Wyoming that has built a professional learning community (PLC) to great success. 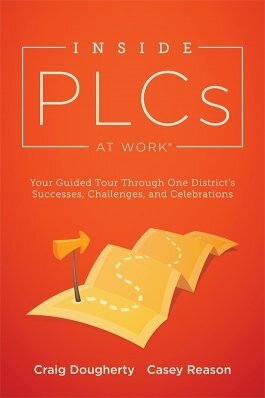 Using Sheridan as a real-world example, authors Casey Reason and Craig Dougherty help educators develop a deep, nuanced understanding of the PLC at Work process and how PLCs work, preparing them in successfully implementing the PLC process in their own schools. Learn the foundational concepts and qualities of professional learning communities, such as the three big ideas and four guiding questions. Deepen your comprehension of how PLC works by learning about Sheridan County School District 2’s journey. Utilize this book’s appendices to access other real-world examples of effective PLC schools. Learn how the best PLC schools fully implement the PLC process for the greatest benefit possible. Supplement your learning of the PLC model with free online reproducibles.